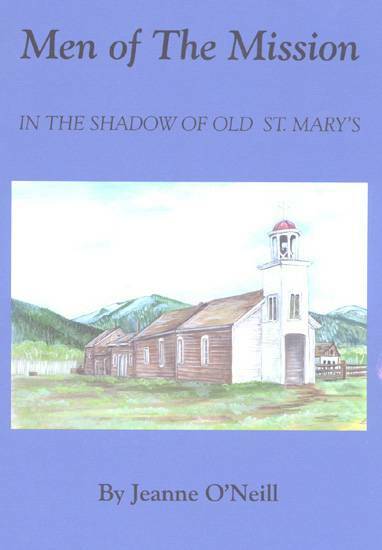 While chapters about Fathers DeSmet and Ravalli are major components of the new book, so are the stories of such men as Father Joseph Mengarini, who could speak the Salish language as well as the Indians themselves; of Father Joseph Giorda, who was second only to Father DeSmet in establishing missions in the Northwest Rockies and who was once stripped of his belongings by warring Indians and left to die of the frigid Great Plains; of self-taught artist and diarist, Nicolas Point, S.J., who taught religion to the Indian children by painting scenes from the life of Christ and vivid portraits of the chiefs, and whose art has recently been revived and shown in current exhibits; of Father Jerome D’Aste, who helped save the peace in 1877, by his tact and prudent counsel in interpreting between the Indians and the white settlers when the Nez Perce traveled through the Bitterroot; of the incredible Brother William Claessens, the carpenter-builder-gardener-baker who is remembered for building all four St. Mary’s Chapels as well as missions at Cataldo, St. Ignatius, Hell Gate, Frenchtown and others; and of Brother Specht, master of innovation, who fashioned a sledgehammer out of tin cans, made cassocks out of Indian blankets and recalled having to wear animal skins. “Men of The Mission” contains numerous illustrations and photographs. It was issued in 5½ by 11-inch softcover format, contains 96 pages, and retails for $9.95.